Good news! 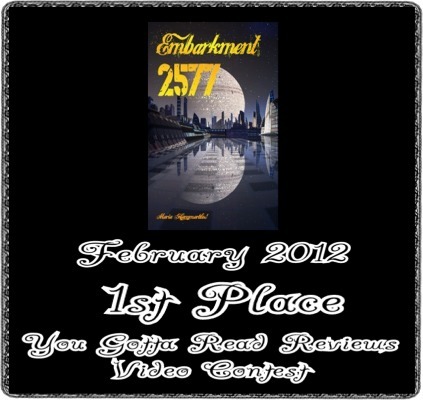 Thanks to everyone who voted, my video for Embarkment 2577 won first place in the YouGottaRead videocontest! Besides joy and bragging rights, I won several months worth of advertising space! Happy Joy Joy!!! I will have a video in the March contest too; the trailer for Kidnapped is already up on their website, but voting doesn't start until later in the month. Other exciting news; I am in the midst of the first round of edits for "Kidnapped," and May 11 that seemed so far away this fall is closing in rapidly. The book will be here before I know it! Meanwhile, check out my new video for "Invasion and other short stories." Invasion is the main story in the book, and the one most like my normal way of writing.